The Holy War is over. The demons of Gologotha have been banished, yet the cost has been terribly high. The Creator, god of the Fyllid, has been defeated and the faith of the people has begun to wane. Petty squabbles among the five remaining gods has caused the land to split into five mystical territories – each at war with one another. Into this divided land steps a wizard, a man haunted by his past, whose choices will shape the future. Which god will he choose? Will he sacrifice himself to change this world for the better, or will what remains of this world be sacrificed for one god’s glory? 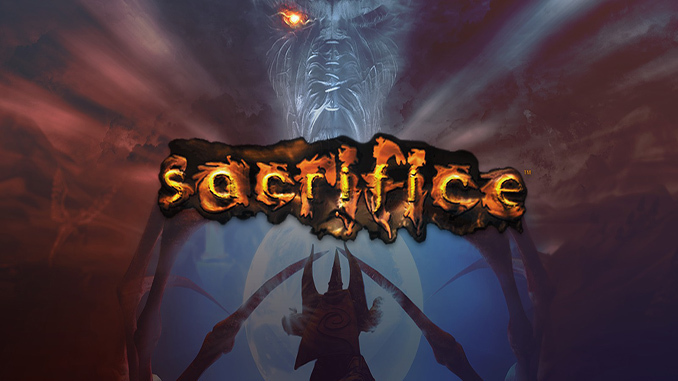 Take a journey behind-the-scenes of one of David Perry’s favourite games with the Sacrifice editorial. The Holy War is over. The demons of Gologotha have been banished, yet the cost has been terribly high. The Creator, god of the Fyllid, has been defeated and the faith of the people has begun to wane. Petty squabbles among the five remaining gods has caused the land to split into five mystical territories – each at war with one another. Termina de Fazer o DOWNLOAD mas ele ñ executa!